“Though the storm clouds may gather, though the rains may pour down upon us, our knowledge of the gospel and our love of our Heavenly Father and of our Savior will comfort and sustain us and bring joy to our hearts as we walk uprightly and keep the commandments. There will be nothing in this world that can defeat us. . . .
"If we are on the Lord’s errand . . . we are entitled to the Lord’s help. Never forget that truth." 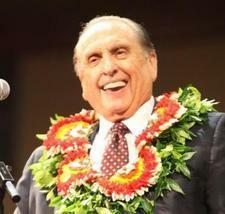 Get more treasured counsel from President Thomas S. Monson with A Prophet's Voice. Throughout his nearly 50 years as an Apostle of the Lord Jesus Christ, President Thomas S. Monson has presented countless messages of wisdom, inspiration, and doctrinal insight. Own some of his most treasured messages to own for yourself with this compilation.